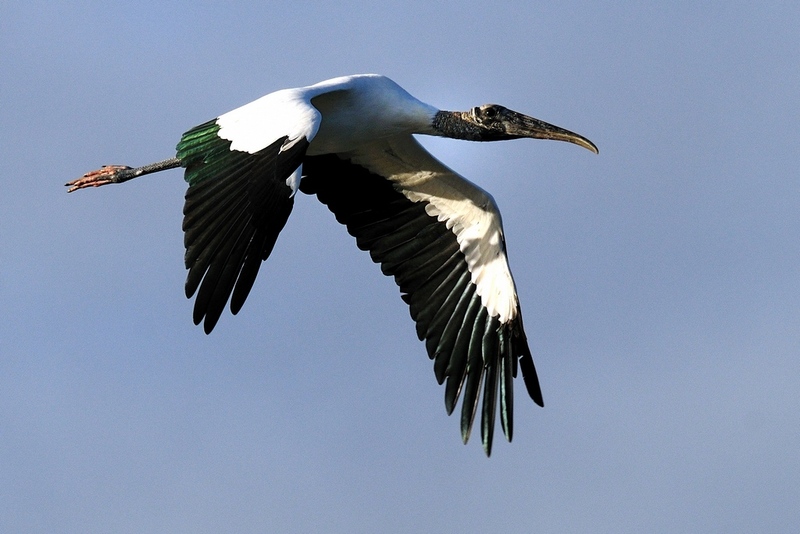 The Wood Stork is the only stork that breeds in North America. Breeding colonies are found from Florida to North Carolina. Here in Punta Gorda, there is a rookery on an island in the Peace River above the I-75 bridge. I see them a lot in the marshy areas and occasionally the mangroves below Ponce De Leon Park but they can also be found around the marshy pond across Olympia Avenue from the Visual Arts Center. They generally travel in groups but individuals can be found. This morning, one flew by with a good sun angle as I was at Ponce Park. I like this shot because it shows the irridescence of the wing in the dark areas. That area usually turns out to be black in most pictures. 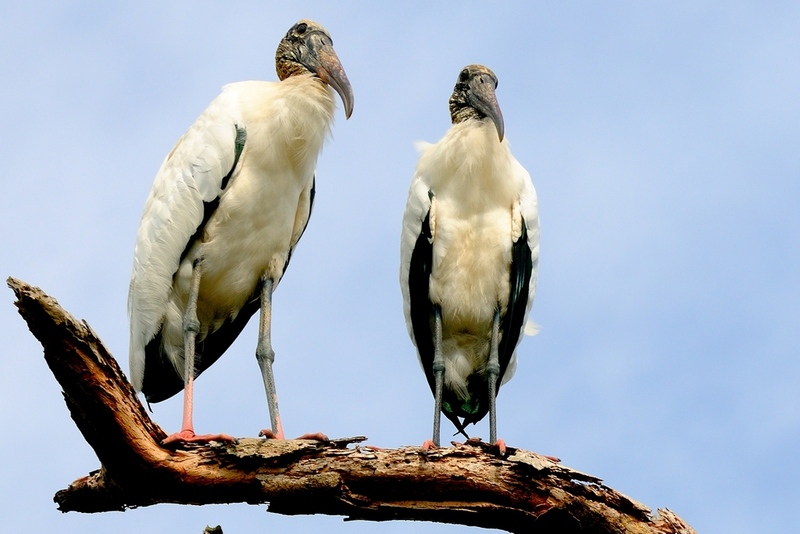 Locals call these birds ‘Ironheads’ because of the beaten iron appearance of their bald heads. If you don’t see them in marshes, feeding in small groups, look up. When not feeding, they tend to gather in groups in trees with good visibility.